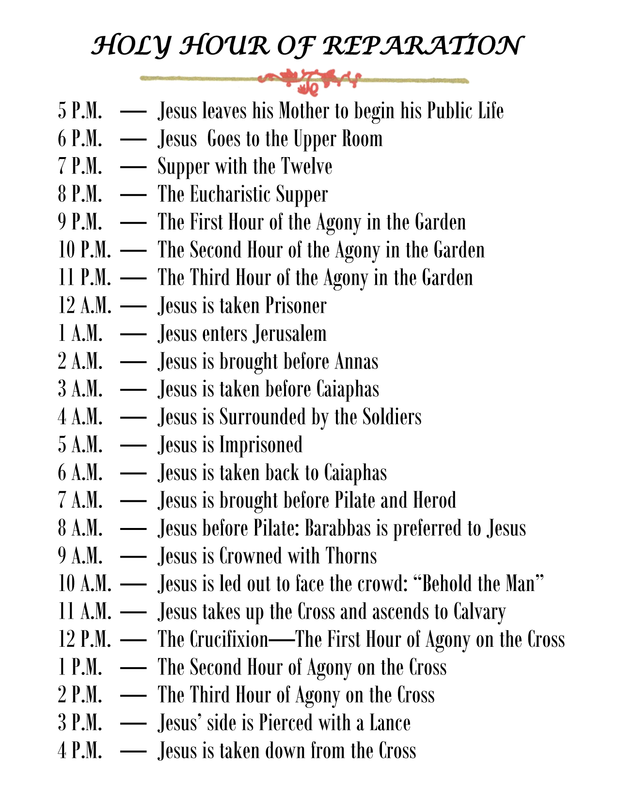 Join with us in meditation on the Passion of Jesus at the various hours of the day! 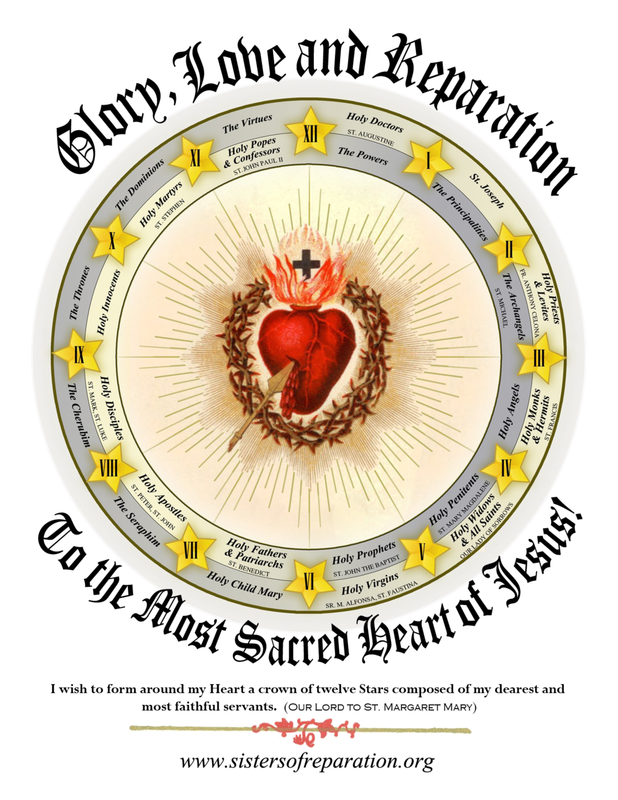 - When making a Holy Hour or at any time of the day: meditate on mystery of the Lord's Passion listed for that Hour. Using the Dial of Reparation is a great way to keep Our Lord in mind always, meditating on his sufferings during the Passion and thereby growing in love and gratitude to God for his tremendous blessings, especially that of our personal redemption won on the Cross. Meditating on the Passion of Christ helps us to accept crosses serenely, with love and thereby be sharers in the fruits of reparation through our offerings. Christ is with us in our setbacks and has experienced every sorrow for us, redeeming them all in His Blood. May you find in this meditation the blessings of growth in Love for our Lord and strength to suffer with Him and in Him to bring the graces of his Redemption upon the world for the salvation of every soul.